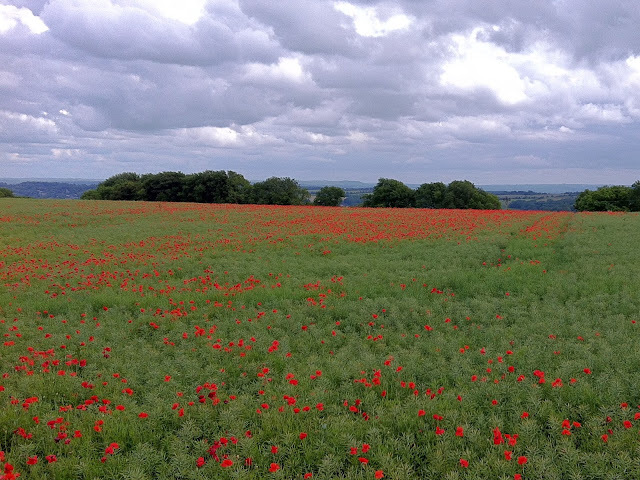 Stumbling across a field of unexpected poppies is one of those things that makes you go "oooh!" and smile. This splash of vibrant red against the green fields was taken as we tootled around the country lanes north of Bath a couple of days ago. Stunning.